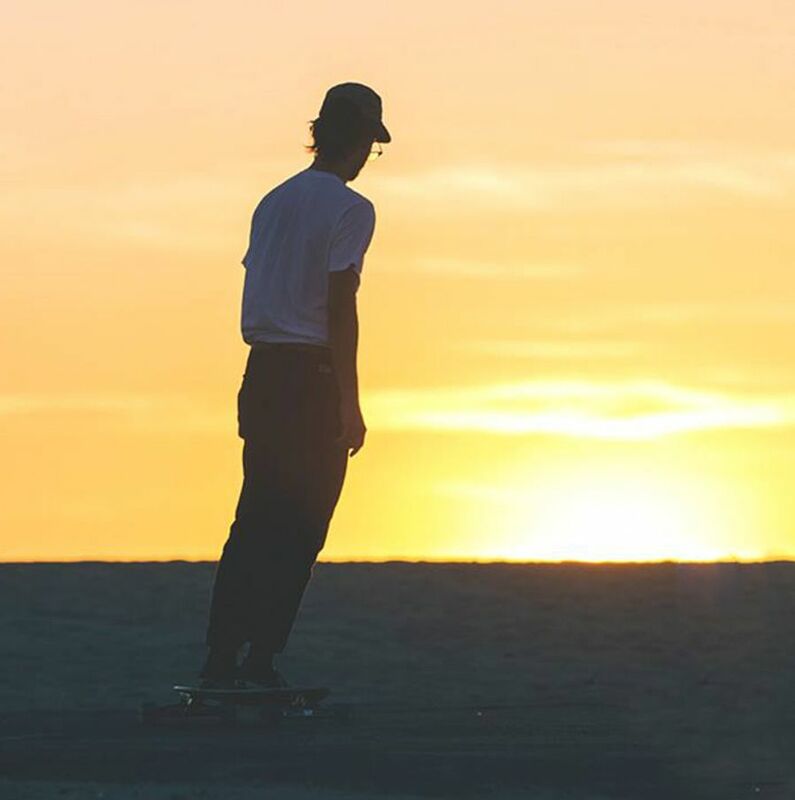 Choose which Pintail Longboard to Buy Based on Weight + Height. When properly set up, Pintail Longboards, built with legitimate performance components, are some of the best carving, cruising, and surf simulation longboard options you can buy. 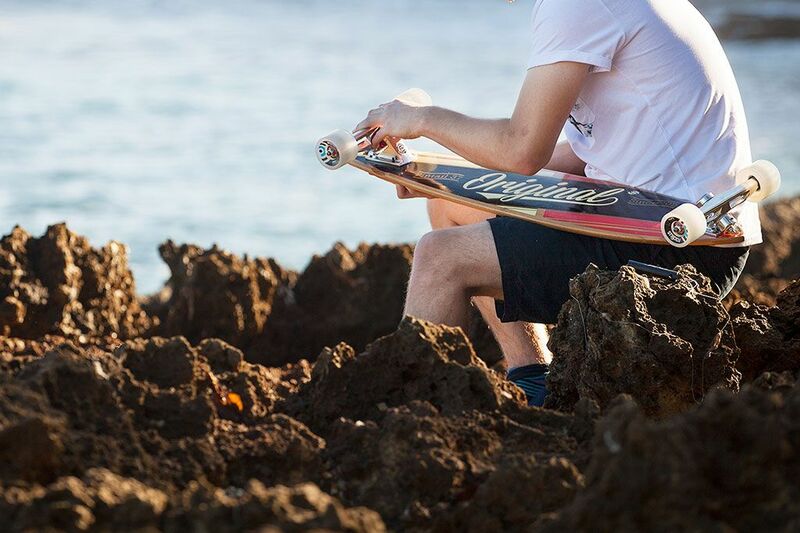 At Original Skateboards, we have been dedicated to getting the best performance out of the classic Pintail Longboard shape for almost 20 years. What Size Pintail Longboard Should I Buy? 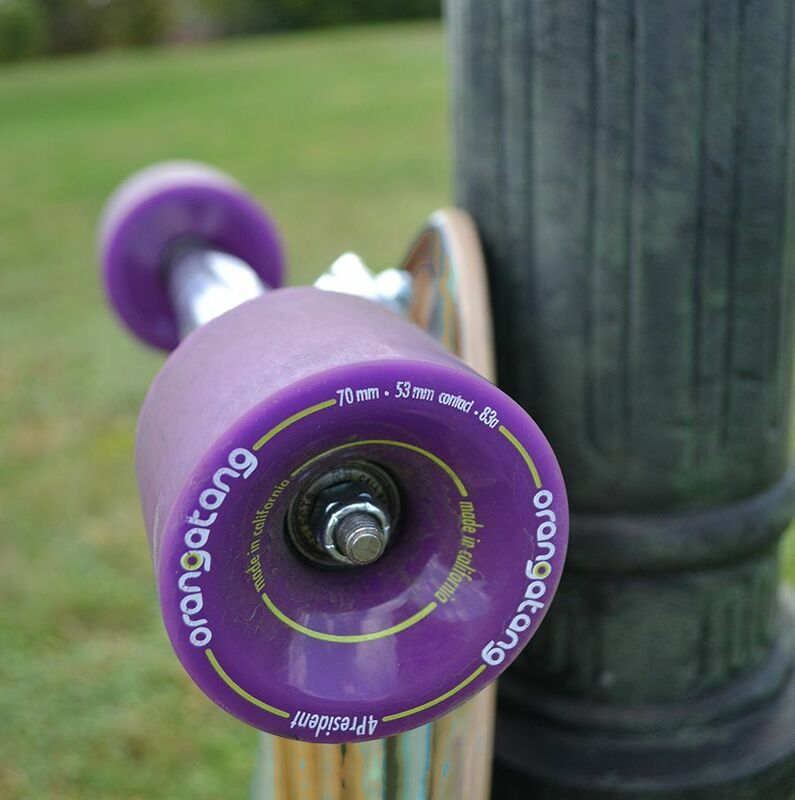 The size (board length) of each Original Pintail is actually the total length of the board. You want to make match your weight/height with the proper board length. Height: Taller riders will have a higher weight center than a shorter rider, and just like a pair of pants, if you're on the taller side, you want a length that matches your height—no floods or short pants around here—and vice versa. If you're a taller rider, you probably have a larger foot than someone who is on the shorter side. You want to make sure your foot rests comfortably on your longboad instead of hanging off the edge like your big toe in a pair of too small flip flops. No one likes shoes that are too small, and a board that is too narrow will be just as uncomfortable. Weight: In addition to your height, you want to consider weight when choosing which Pintail longboard works best for you. Your weight impacts the overall flexibility of board, which then impacts how well you can maneuver it. Heavier riders should opt for a larger board, while lighter riders will want to pick up something smaller, allowing them maximum board flex for easier turn initiation. Versatility is the name of the game for the Pintail. The above suggestions for weight/height are based on mellow hills. If you want to attack a steeper hill, go with one size longer OR if you want want a lot of carve and maneuverability, go one size smaller depending on where you fit in terms of weight/height in the size guide. Gabi is riding a Pintail 37. Even though she's 5'7" and could go with either a Pintail 37 or a Pintail 40, coming from a surfing/snowboarding background, she prefers a more carvy feel and opted for the smaller size. For the steeps and Freeride, she rides the Arbiter KT. With a performance-oriented board brand, even a simple, classic, Pintail Longboard shape can change the way you ride and help you learn faster, with fewer bumps along the way.